Categories: Media, Scientific Research | Tags: Addiction, Dopamine, Glen Campbell, Julia Fordham, Love/Like, Lyrics, Meatloaf, Motivation, Popular Music, Rolling Stones, Want/Like, Want/Need | Permalink. It’s a local interest story from Spartanburg in upstate South Carolina, USA. One of the things they talk about is Early Onset (Young Onset) support groups (as distinct from general purpose Parkinson’s support groups, which tend to be dominated by the older PWP – whose perspectives, needs and interests are often quite different to that of the younger person). Now, I do know of one such group not far from me – I just haven’t managed to do anything about it yet. This has reminded me, and pushed the idea further up the to-do list. 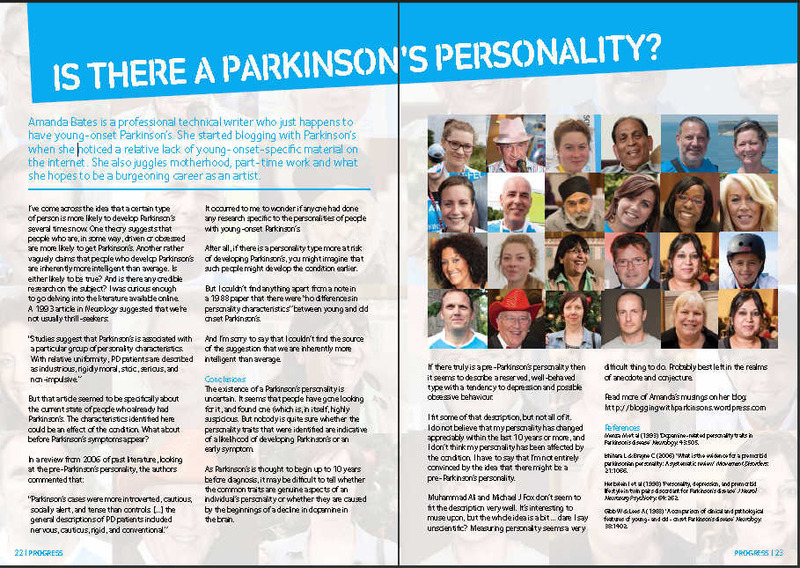 Categories: Coping, Media, Young Onset Parkinson's | Tags: Support Group | Permalink. 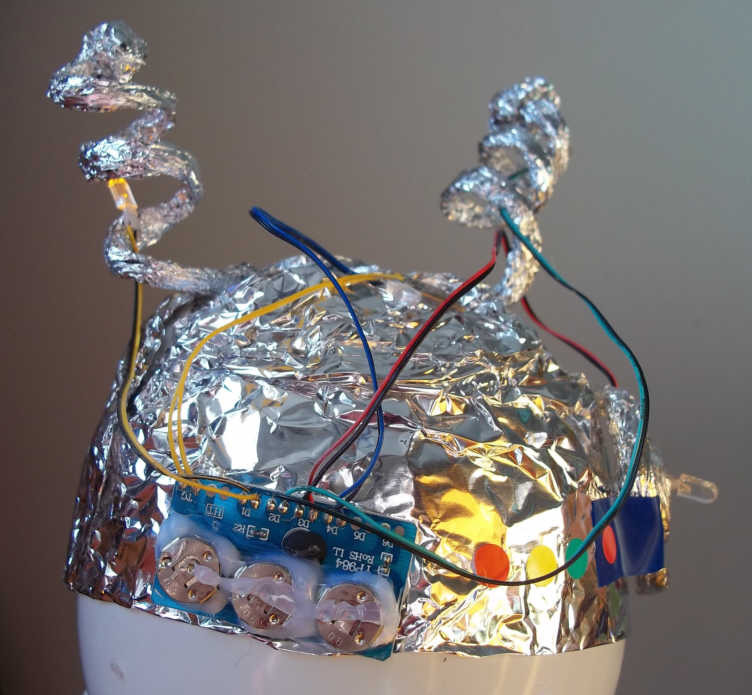 An illustrative tin foil hat. Further to my recent post on DBS (deep brain stimulation), it has been pointed out to me that the brain can be stimulated without surgery to implant a stimulation device. Naturally, the effects of external stimulation are less – and, I imagine, are rather awkward to administer – but at least there is no brain surgery involved. Categories: Media, Scientific Research | Tags: brain stimulation, ECT, electricla stimuation, flow, magnetic stimulation, New Scientist, Sally Adee, tDCS, TMS | Permalink. 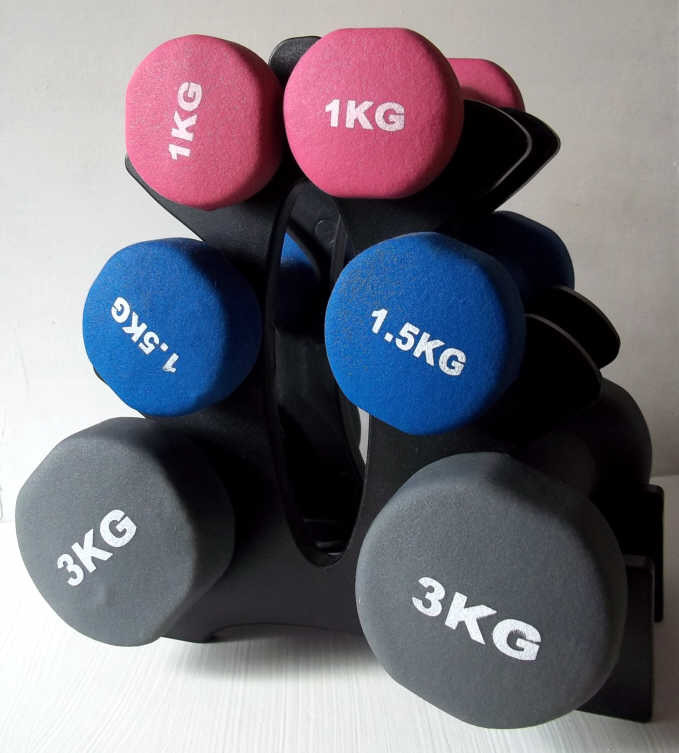 I’m interested in this story because my physiotherapist gave me some weights-based exercises right at the beginning – and because I (unexpectedly) found that I liked them. Part of the reason for that is that they don’t take long and that the equipment doesn’t, really, take up much space (although my weekend bag is inordinately heavy these days). In fact, performing the exercise itself doesn’t take up much space either. Categories: Exercise, Newspaper, Scientific Research | Permalink. On Sunday 19th February, at 9.00-10.15pm, BBC FOUR will be showing a film about Barbara Thompson, professional jazz saxophonist and composer. Who just happens to have Parkinson’s. It goes without saying that music must play a vital part in her battle with the condition, although I imagine that there is a terrible fear that she will lose the ability to play. Thompson and her husband, Jon Hiseman (jazz-rock drummer and mainstay of the jazz-prog-rock band Colosseum) are apparently remarkably candid about their experiences with Parkinson’s. Categories: Media, Music, TV | Tags: Barbara Thompson, BBC FOUR, BBC4, Jazz, Jon Hiseman, Parkinson's, Playing Against Time | Permalink. This is a novel that describes advanced Parkinson’s in a family member. It is an “end of life” Parkinson’s book, not unlike Franzen’s The Corrections or Mistry’s Family Matters. As such, it can be a difficult read. Nick’s father is in the advanced stages of Parkinson’s. He is severely disabled, although his wife seems bizarrely grateful that “he hasn’t got the shaking kind” (there: myth number one about Parkinson’s debunked). Categories: Book Review, Fiction, Media, TV | Tags: Aged Parent, Carer, John Harding, Parkinson's, What We Did On Our Holiday | Permalink.